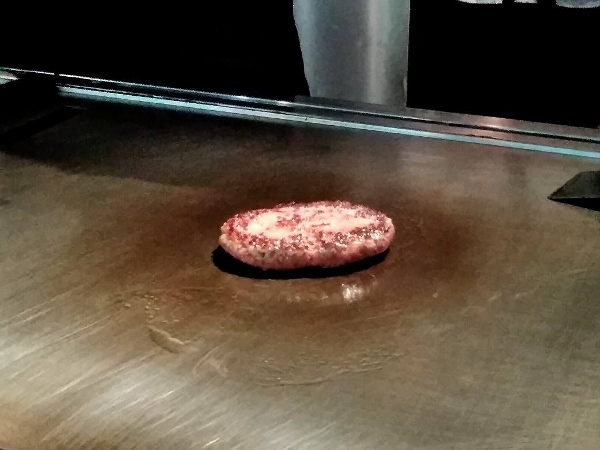 Until I came to Japan, I thought the appeal of teppanyaki lay mostly in the performance aspect of it—with lots of shouting, twirling spatulas, and flaming onion towers. But in Japan, such sights are rare. 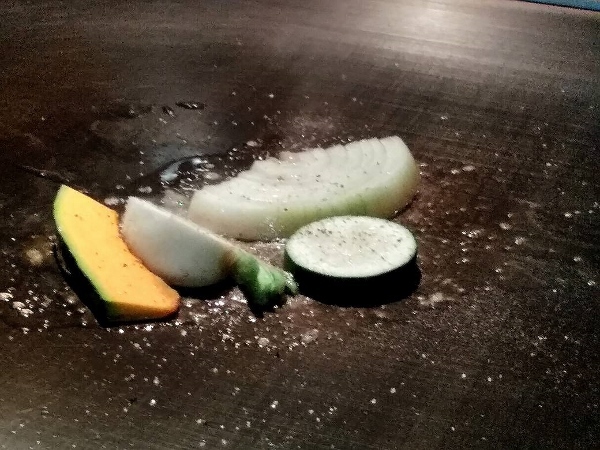 After all, no one wants to be distracted from the real star of teppanyaki: the food. 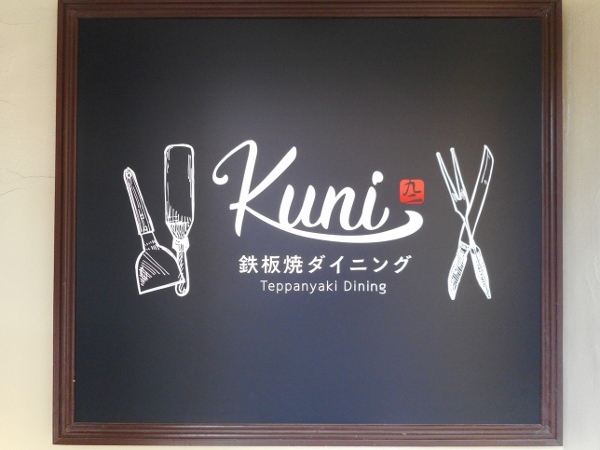 And in Sumiyoshi, Koto City, Teppanyaki Dining KUNI strives satisfy the hunger for top-notch food of any and all who walk through its doors. 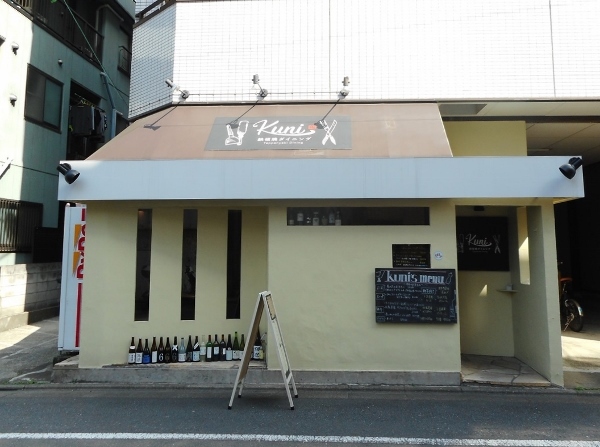 Run by Mr. Amamiya and his lovely wife, KUNI is located one turn off Yotsume-dori Avenue. It seems to pop up out of nowhere amid rows of apartment buildings. The blackboard menu out front advertises Today’s Recommendations, including appetizers, fish, and dessert. A happy bit of information is notes indicating the origin of the dishes’ ingredients: radish from Chiba prefecture, for example; kabocha pumpkins from Hokkaido; and leeks from Gunma. The inside is chic and simply decorated, with an atmosphere of understated luxury. 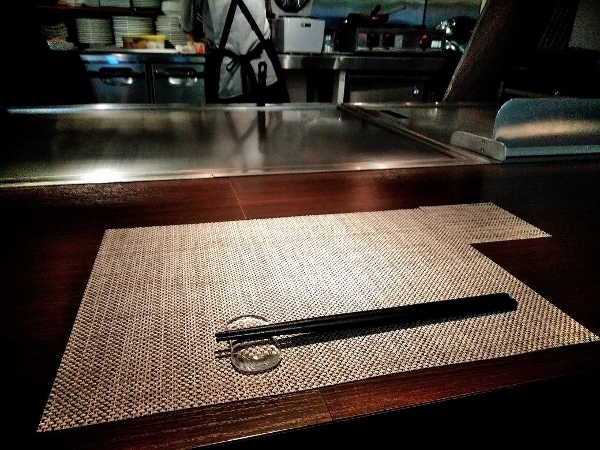 Aside from the table seats, there is a counter which overlooks the kitchen and the teppan—an impressively clean hot plate. This is where the magic happens. “I remember going to my first teppanyaki restaurant. I was amazed. 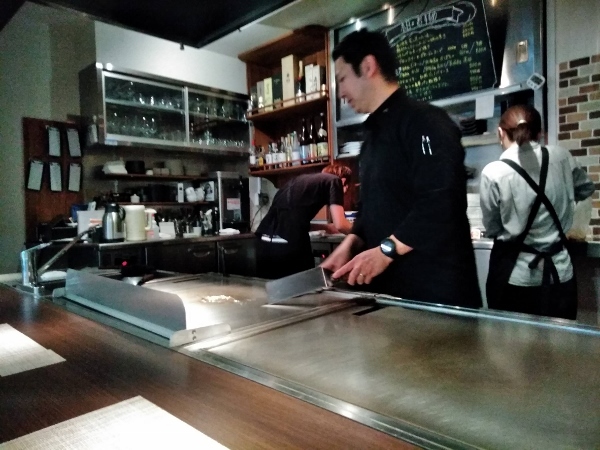 It’s entertaining to be able to watch your food get cooked right in front of you, isn’t it?” Mr. Amamiya chats amiably as he moves around, the clank and clatter of his tools sounding musically as he prepares the food. Instead of hat tricks and juggling, Mr. Amamiya fills the time between cooking and dishing out the food with interesting conversation, asking me about Canada and telling me a little bit about the restaurant’s beginning (it turns out KUNI opened its doors in July of 2016, which happens to coincide with when I moved to Japan. Huh). Between us, the seasonal vegetables he’s preparing sizzle as they’re seared to perfection. 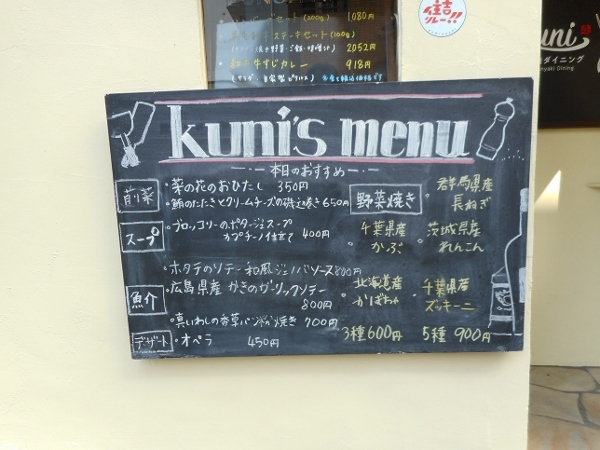 While KUNI’s known for their amazing table d’hôte in the evening, where you can get a high-quality course meal for an extremely reasonable price (starting at 3800 yen), their lunch menu has also been generating attention from locals. 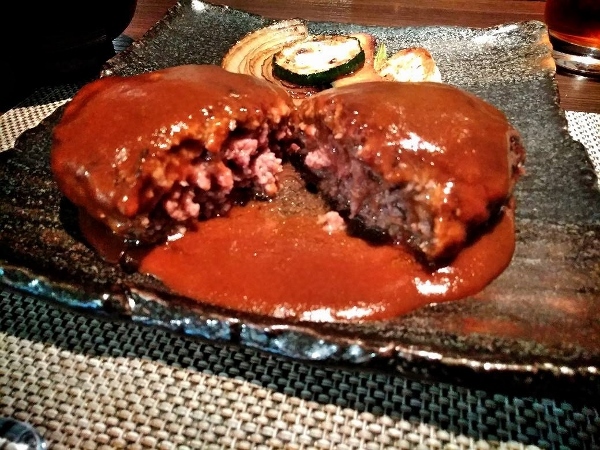 The favourite is the hamburger steak lunch set—200g of Japan’s finest kuroge wagyu ground beef, cooked to order. Served with a salad, rice and miso soup, the meal is as visually enriching as it is filling. “Try splitting the steak open,” Mr. Amamiya suggested. I split the voluminous patty open with my chopsticks, revelling in how juicy it was. The inside was a beautiful pink colour. 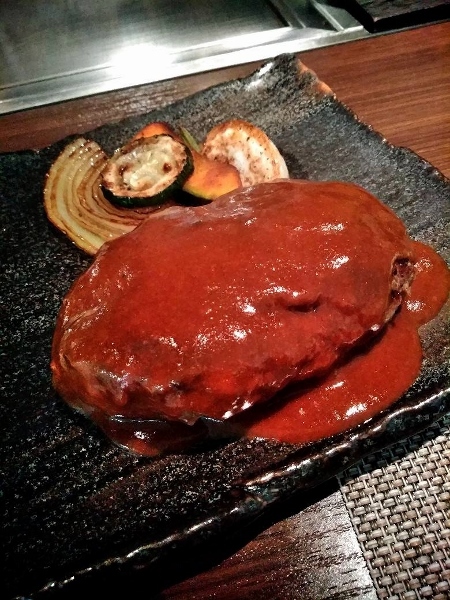 The sauce on top is KUNI’s own demi-glace sauce, a rich concoction made from tomatoes and a combination of vegetables. I was expecting it to be quite salty, but instead found that it was mild, and provided an elegant and well-balanced accompaniment to the hamburger; the solid, meaty taste of the patty was enhanced without being overwhelmed. 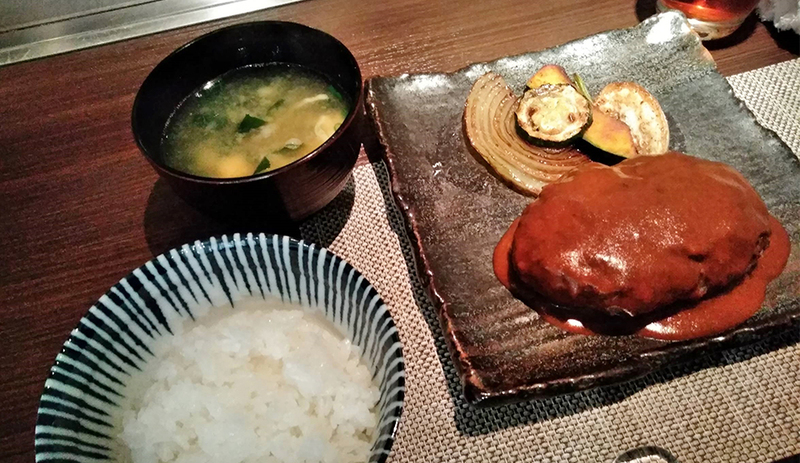 At 1000 yen per set, it’s easy to see why KUNI’s lunch has been getting rave reviews. 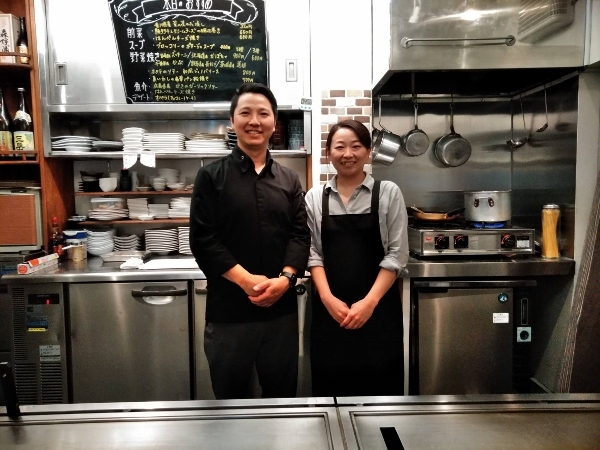 Mr. and Mrs. Amamiya run the restaurant together, assisted by a staff member, and the three of them joke and talk easily as they navigate around the kitchen. Their friendly attitude is infectious, and makes dining there even more wonderful. 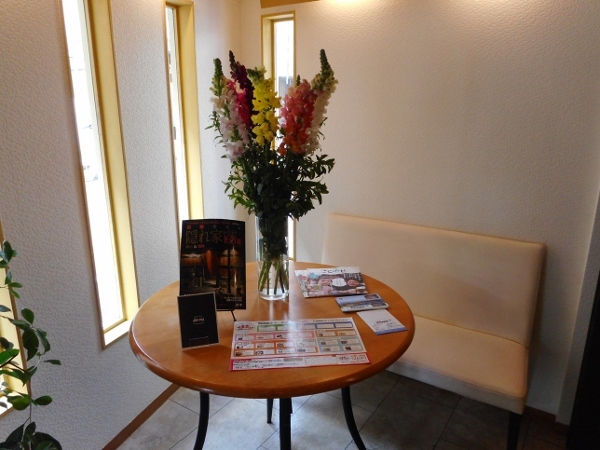 While Mr. Amamiya and the staff of KUNI are aware of the rising number of tourists in the area and are keen to please, they’re also down-to-earth about it. 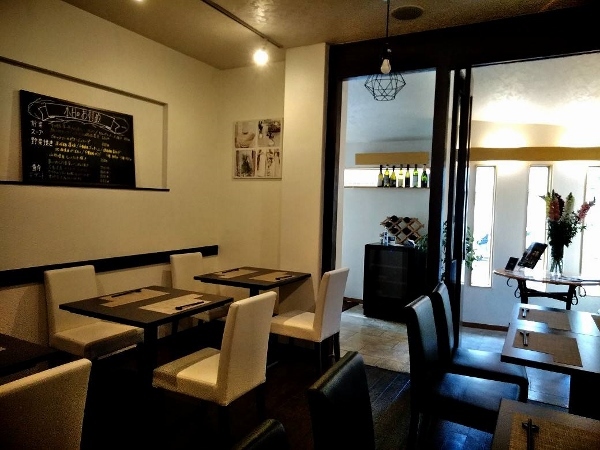 Mostly, they just want to keep providing quality beef and teppanyaki meals for everyone, so people will be able to enjoy teppanyaki food more easily and more frequently. True to his goal, whether you’re celebrating an anniversary or just in the mood for a casual meal, KUNI has you covered—guaranteed. **Prices listed in this article are as of March, 2018.